I can’t quite decide whether Richard Long’s 1967 work A Line Made by Walking is an example of taking a line for a walk or the exact opposite. 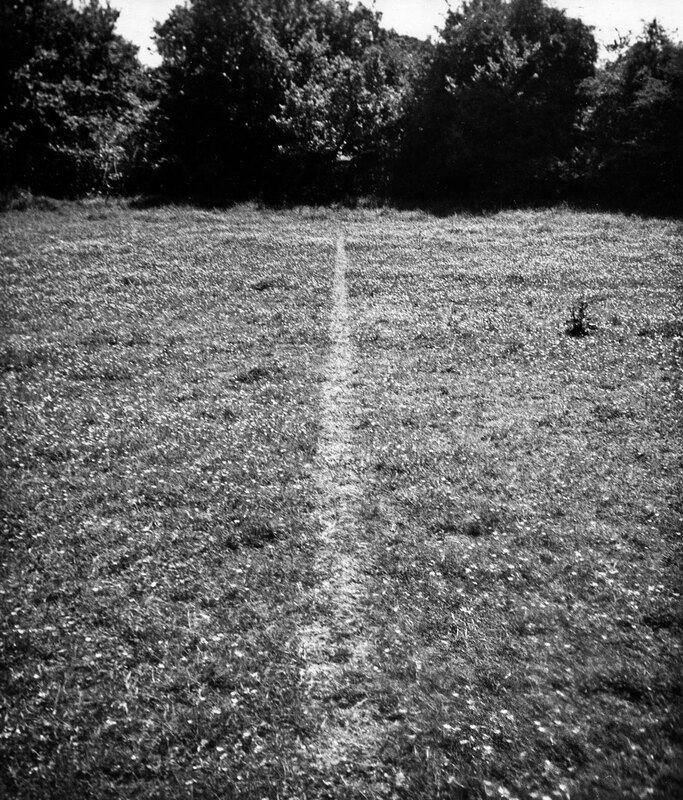 Long has effectively made a drawing, of sorts, by walking and certainly – as with Ceal Floyer’s Taking a Line for a Walk – the line is a result of an actual walk but here it’s the act of walking that has brought the line into being, albeit on a temporary basis, rather than a tool used by the artist; the drawing too herel, rather than being a pencil – or a line painting machine or whatever – is the artist himself. Long’s work, of course, is probably better described as something other than a drawing. Effectively it’s an intervention artwork which has left a temporary trace; the landscape would probably have reasserted itself and obliterated the line before anyone other than Long ever saw it. In this work, as in many interventions, it is the documentation – the photograph – that becomes the exhibited work.